Wow he is mini me isn't he. Oh good point Bel Bel! I'm sure it comes as no surprise when I tell you I was indeed wearing a Santa hat that morning, as I was most the preceding week at work! My Christmas spirit knows no bounds. Faa la la la la la la la, la la la la la, la la, la, laaaaaaaaaaaaaaaaaaaaa! P.S It has a flashing bauble on the end of it, and it's now safely tucked away in my drawer of many Christmas things for this year! Wow...they are really nice pics ILC. There's an incredible difference, Rufio. What's your secret? Just as long as it's not 'not eating chocolate'. It is amazing Ruth, you look so much happier and healthier in the second one. Thank you (I know that was very silly to post that but everyone I know I see quite regularly so people dont really notice, I hadnt even noticed myself until I saw the 'before' picture). In all honesty, I havent even had to work that hard. I've been doing yoga once a week for 90 minutes (which also chills me out a bit), and I've been keeping a calorie-log on this website caloriecount.about.com - it really has been as simple as eating less and exercising more! 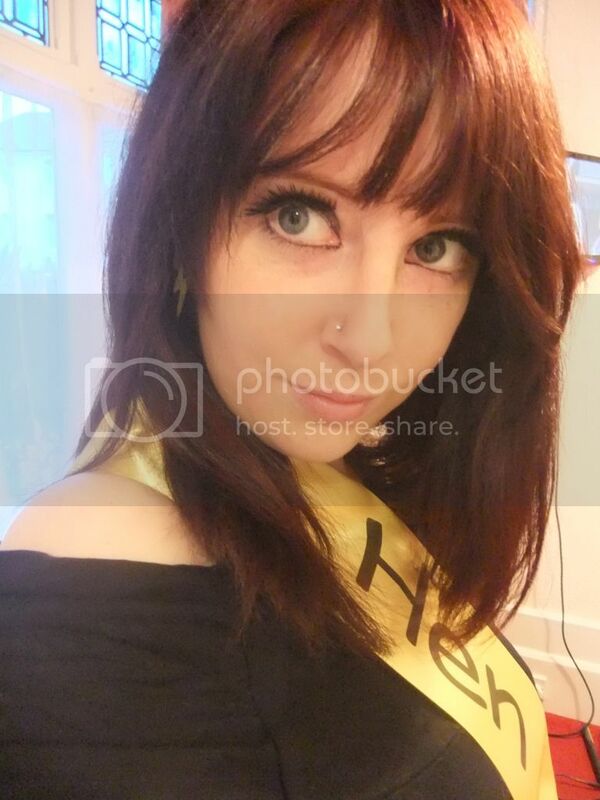 Thought I'd add a little recent one of me....this was taken last weekend at my friend's hen party. Sha-wing! Haha. Very nice HLC! Heeellllloooo! (Obviously you'll have to imagine the Leslie Phillips voice, bit difficult to convey that purely in text) lol.